Hyderabad : NDA presidential candidate Ram Nath Kovind on Tuesday began his campaign in Telugu states of Telangana and Andhra Pradesh. A day after opposition parties' nominee Meira Kumar visited Hyderabad, Kovind arrived in the city to bolster his support. Leaders of the Bharatiya Janata Party (BJP), Telangana Rashtra Samithi (TRS), Telugu Desam Party (TDP) and YSR Congress Party (YSRCP) accorded him a warm welcome at the Begumpet Airport. Central Ministers M. Venkaiah Naidu, Bandaru Dattatreya, BJP's Telangana unit chief K. Laxman, Telangana Deputy Chief Minister Mohammed Mehmood Ali, Ministers N. Narasimha Reddy and Harish Rao were among the leaders who welcomed Kovind. He later left for Haritha Plaza hotel to meet the BJP's members of Parliament and state legislators. This would be followed by a meeting with leaders of YSRCP, the opposition party of Andhra Pradesh which has already declared its support to him. YSRCP chief Y.S. Jaganmohan Reddy and party MPs and MLAs will interact with him. 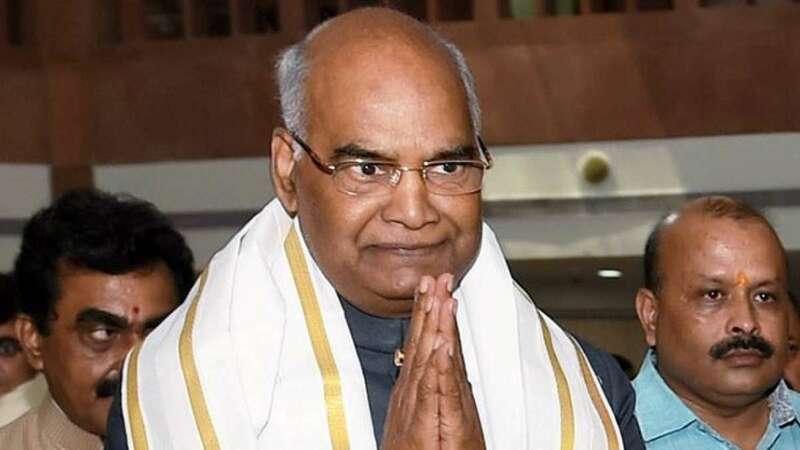 Kovind would then have a meeting with leaders of Telangana's ruling party Telangana Rashtra Samithi (TRS), which too, has announced its support for the National Democratic Alliance (NDA) nominee. TRS President and Chief Minister K. Chandrasekhar Rao, party MPs and MLAs will meet the former Bihar Governor. The TRS erected huge hoardings at busy intersections in the city to welcome him. The hoardings carry pictures of Kovind and Chandrasekhar Rao. After meeting with TRS legislators, Kovind would then leave for Vijayawada where he would meet TDP President and Andhra Pradesh Chief Minister N. Chandrababu Naidu and other leaders.